Celebrities are no different than all the normal parents of the world; they’re just trying to keep their kids safe and happy. Of course, that isn’t always so easy when your are living your life in the spotlight. Unfortunately, celebrities often lead wild lifestyles that can have a negative effect on their children. Some of them may end up following in their parents footsteps while others distance themselves from their celeb moms and dads, but one thing is for sure: being the kid of a celebrity is a crazy life! Explore a list of celebrities highlighting their kids and all their issues. Nicolas Cage is Hollywood royalty. A member of the famous Coppola clan, Nicolas Cage is part of a legacy of notable actors, directors, and other showmen. The actor is known for having a bit of an eccentric personality and his son, Weston Cage, proves that the apple does not fall far from the tree. 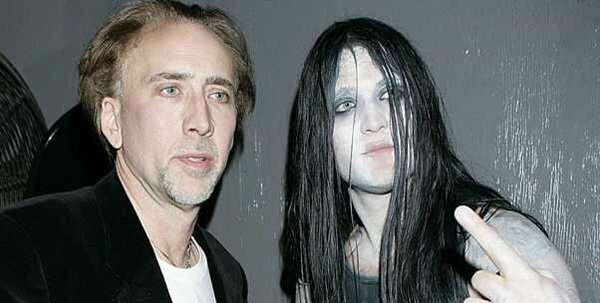 Weston Cage formerly was in a black metal band and often sported his long black hair hanging in his face with black eyeliner applied around his eyes. This wasn’t just a rebellious phase, though. While some kids mellow and mature as they get older, Weston Cage chose not to straighten out his life until he got into some more trouble.